Somebody must be a really big fan of his CrackBerry. And LEGOs. 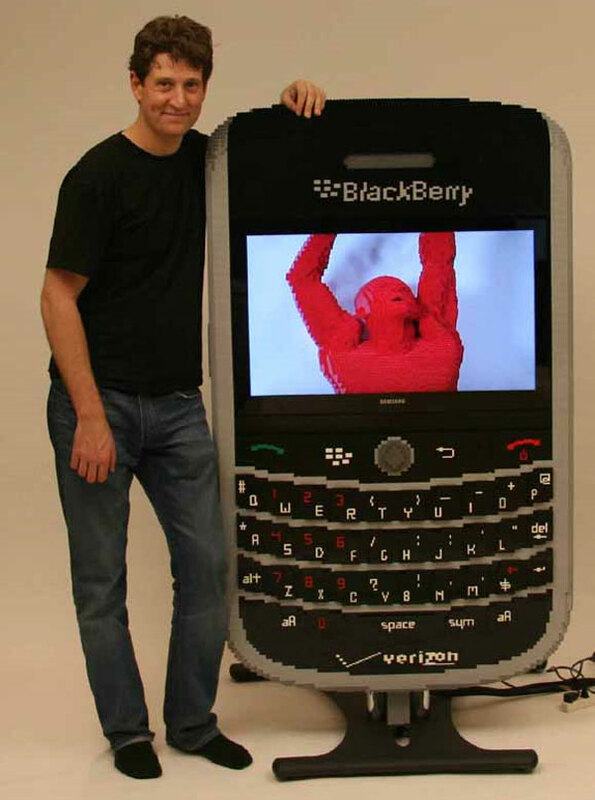 This gigantic LEGO BlackBerry was created by LEGO sculptor Nathan Sawaya for the BlackBerry Developer Conference. 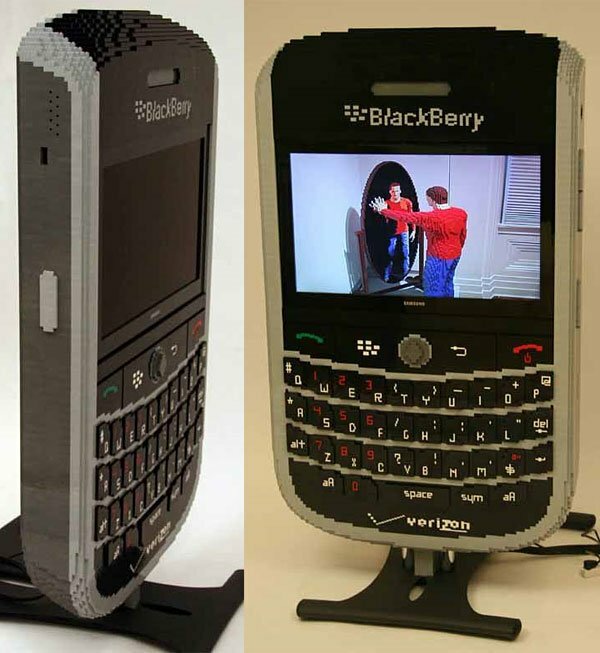 The five-foot tall smartphone is based on the BlackBerry Tour 9360, and not only incorporates thousands of LEGO blocks, but also has a flat-screen LCD television built into the middle of it. While it won’t actually send and receive messages or make phone calls, the enormous BlackBerry could be used to surf the web – if only Nathan were to connect a computer to the display.